Osama bin laden is the no.1 terrorist in the Fbi list, but still no one could find where he is hiding except now. Osama is hiding in the Whitehouse. Then why he is still at large? During a recent visit to Pakistan , the real Bush was killed and replaced by Bin laden. 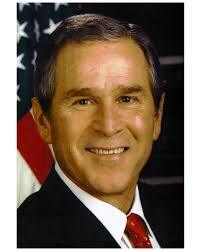 He even underwent plastic surgery to look like Bush. Pakistani President Pervez knows all this.But he has been promised large sums of Dollars as aid to keep mum.